The first annual conference for Polish teachers working at Polish schools in Ireland will take place at the Humanities Institute of Ireland, University College Dublin on Saturday, November 19th, 2011. At a time when the Department of Education and Skills in Ireland is striving to improve and increase literacy levels in Irish schools, migrant-led schools play a very important support role in this work. 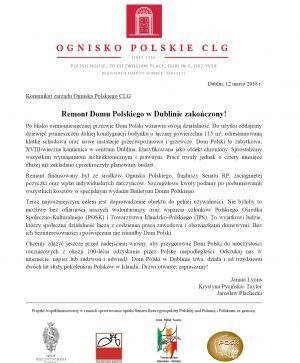 There are 12 Polish schools in Ireland which operate under the remit of the Polish Department of Education and which cater for over 4,000 Polish children living in Ireland. The work of these migrant-led schools is undeniably essential in the area of first language maintenance, which is important for educational, cognitive, as well as social and economic reasons. 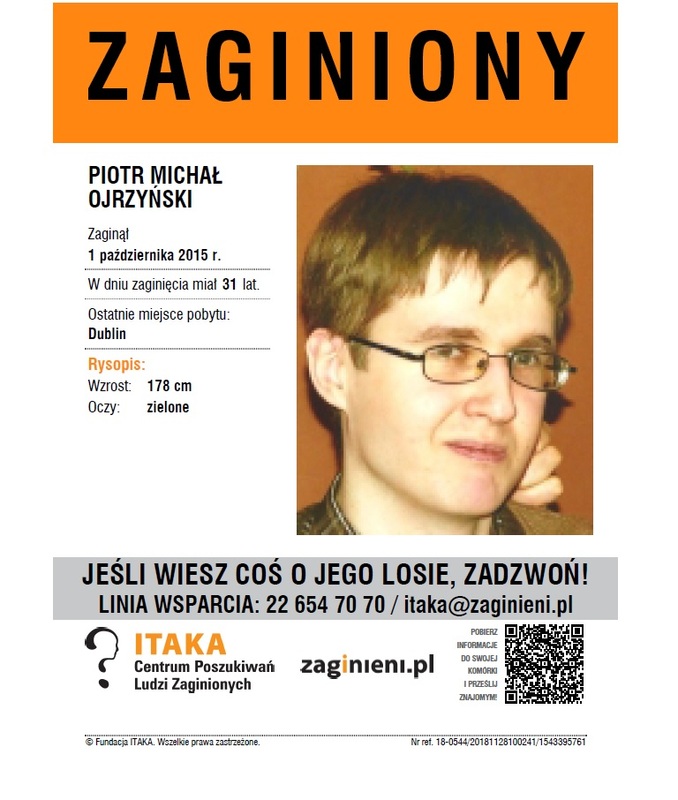 With an estimated Polish population in Ireland of 200,000 (Census 2006 recorded 5,900 children aged 0-19) and no significant impact of the recession on return figures (by the end of 2008, the only decreases recorded by Poland’s CSO in the number of Poles registered abroad were in Britain (decrease of 40,000) and Ireland (decrease of 20,000)), this conference is both timely and welcome. 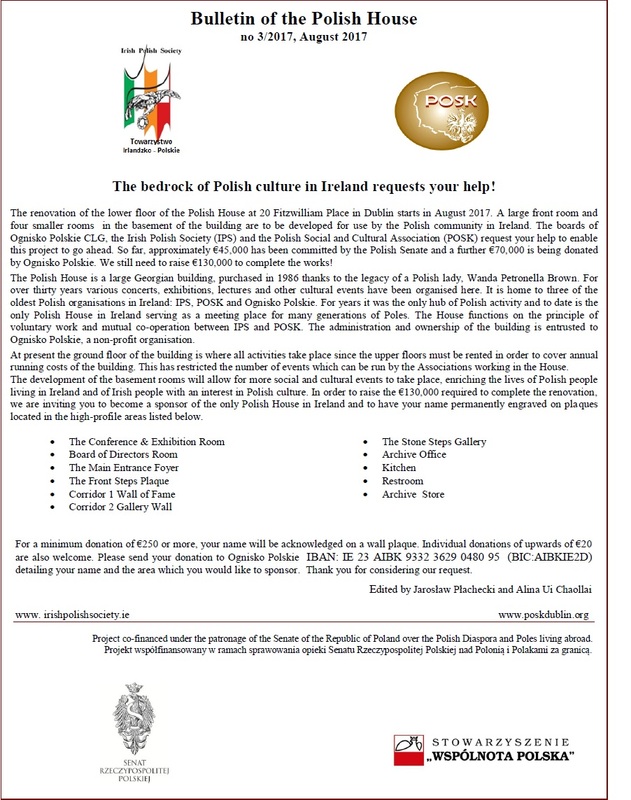 Over 50 delegates, including teachers and parents from all the Polish schools in Ireland, are expected to attend. 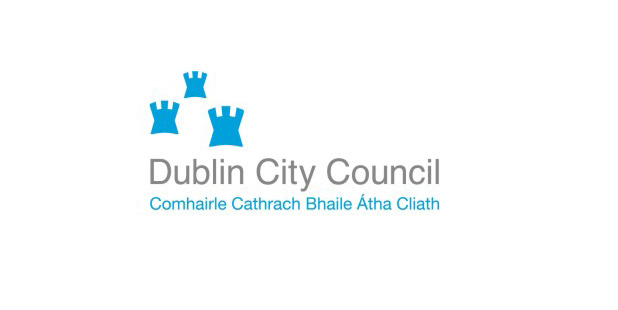 The programme includes a number of informative and practical workshops, as well as a forum for discussion on work at Polish schools in Ireland and elsewhere. Keynote speakers include experts from the Ministry of Education in Poland and ORPEG (the agency responsible for training Polish teachers who work abroad). Also attending will be the Chairperson of the Network of Polish Schools in Britain (Polska Macierz Szkolna), Ms. Aleksandra Podhorodecka, who will kickstart a discussion on the creation of a similar network in Ireland. Representatives from the Education for Democracy Foundation and the MyMind Psychological Centre will also deliver presentations. 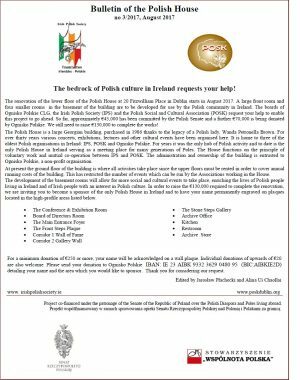 The conference has been made possible through the support of Wspólnota Polska, the Polish Embassy in Ireland, the Irish Polish Society, and Forum Polonia. 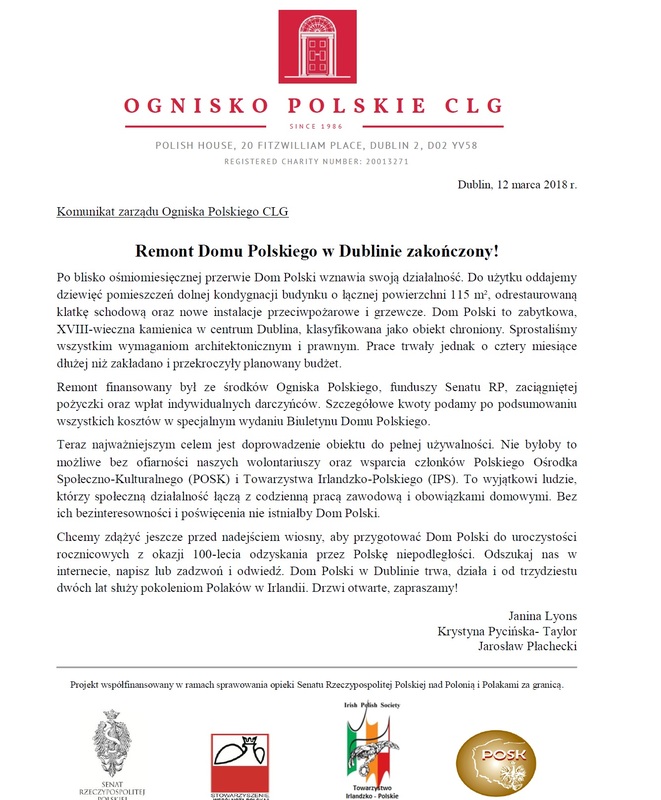 · The Polish schools in Ireland operate at the weekend. On Saturdays and Sundays, pupils follow the Polish school curriculum in Polish (language), history, geography and maths. Five of the twelve Polish schools are (Polish) State-funded, while the remaining seven are privately funded. The five State-funded schools cater for approximately 3,000 pupils; the seven privately-funded schools cater for over 1,000 pupils. · At present, approximately 10% of primary school pupils and 12% of post-primary school students were born outside of Ireland. In schools, there are pupils from over 160 countries and over 200 languages are spoken. For approximately 70-75%, English is not their first language (Source: Department of Education and Skills 2010, Better Literacy and Numeracy for Young People. A Draft National Plan to Improve Literacy and Numeracy in Schools, p. 35). · There exists a substantial body of international research evidence in support of maintaining and developing first language proficiency among minority language children. These data particularly point to the positive benefits of first language proficiency on the development of the second language (i.e., in this case, English and/or Irish). The well-known academic Professor Jim Cummins has articulated this as the ‘developmental interdependence’ hypothesis (1979). 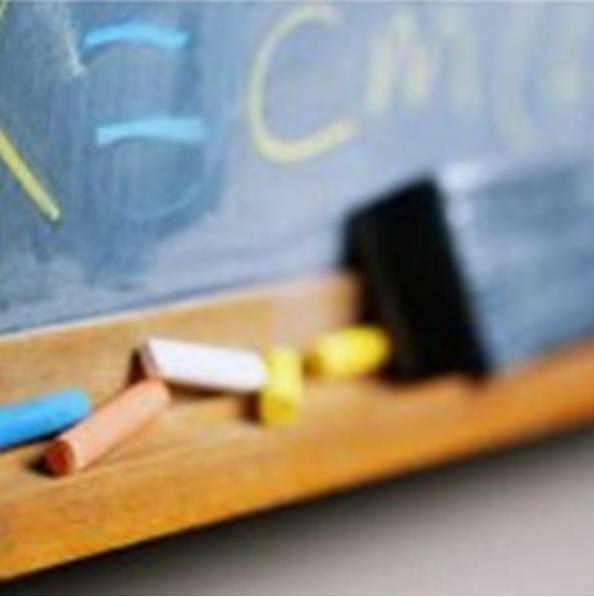 · Migrant-led schools are a vital link in the development and maintenance of the first language. Only on rare occasions do Irish mainstream schools provide classes in the first language for their pupils. This is mainly a school-based initiative. The school is not obliged to provide first language classes for pupils whose first language is not English. 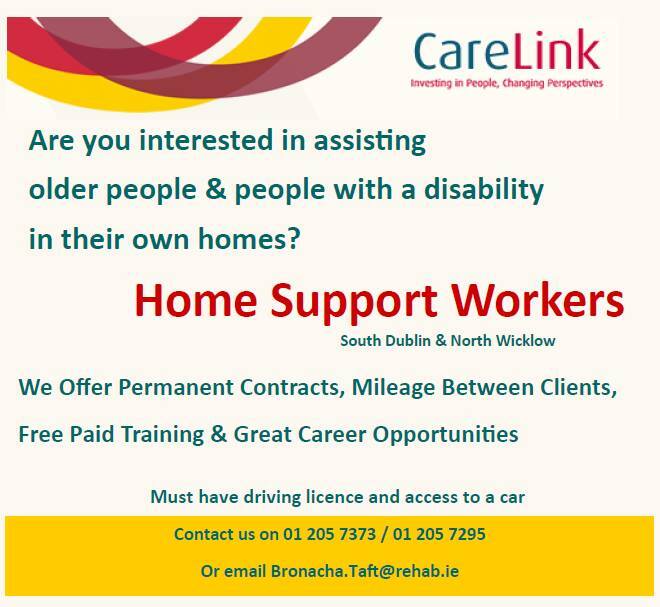 · The maintenance of the first language is also important for the maintenance and development of intergenerational relationships, friendships at home, as well as for community solidarity, social capital and cohesion purposes. In cases where families decide to remain in Ireland more permanently, it is equally as important to maintain the first language because of the educational and familial benefits to the individual as well as to society as a whole.